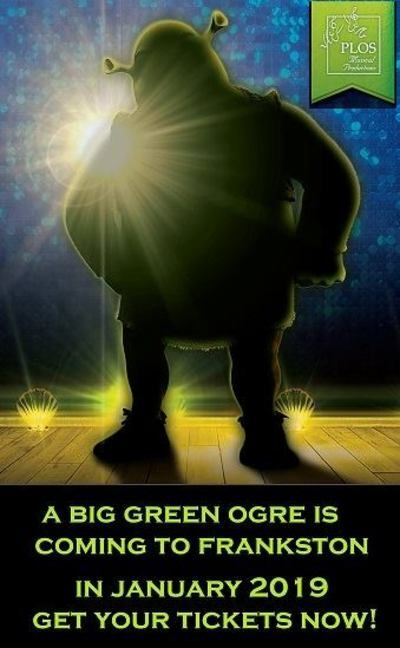 "Once upon a time, there was a little ogre named Shrek..."
Shrek is back.. for a short time only, to perform live on the stage at the Frankston Arts Centre (FAC). The FAC's summer blockbuster re-tells the story of the unlikely hero who finds himself on a life-changing journey alongside a wisecracking donkey and a feisty princess. 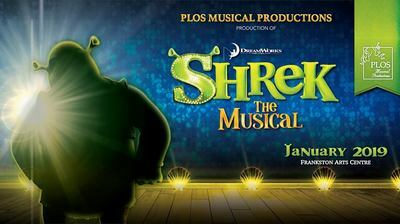 Based on the Oscar-winning DreamWorks Animation film, Shrek the Musical features all new songs and all the beloved characters you know from the movie, including a short-tempered bad guy, a cookie with an attitude, and over a dozen other misfits. This production will deliver a magical night out for the whole family, in a not-to-be-missed, side-splitting adventure of fairy tale proportions. This theatrical performance arrives in Frankston on New Years Eve: Monday 31 December, 5pm. Performances will then continue from Wednesday 2 January to Sunday 6 January with a special "Meet the Cast" performance on Thursday 3 January @1.30pm. Tickets to Shrek the Musical at Frankston Arts Centre are now on sale. Book your tickets before seats sell out HERE. Presented by: PLOS Musical Productions. When: 31 December 2018 - 9 January 2019.